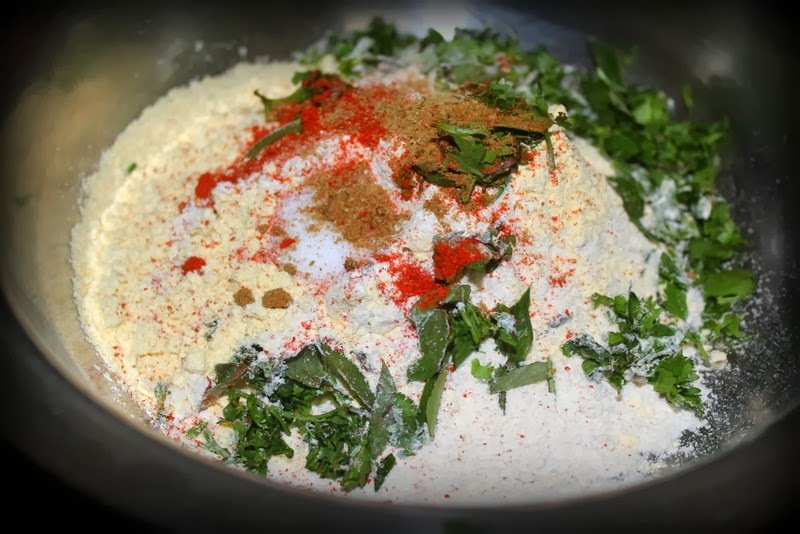 Gunpowder for Idli’s is one of the best combination, its pretty versatile food item also. We can use both as a seasoning, or even as a powder for any of your choice of potato or vegetable fries and fish fry also!! 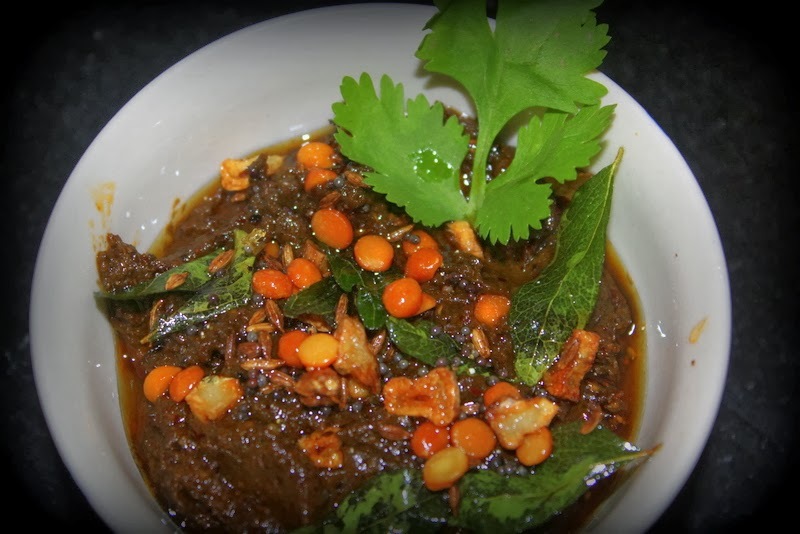 This particular recipe is from my mom, she is excellent in preparing homemade podis I will post curry leaf powder soon. Do not get overwhelmed with so many ingredients, trust me this is an easy and quick recipe. In a non stick pan add 2 tsp oil and fry chana dal, urad dal, mustard and methi seeds and mix well. 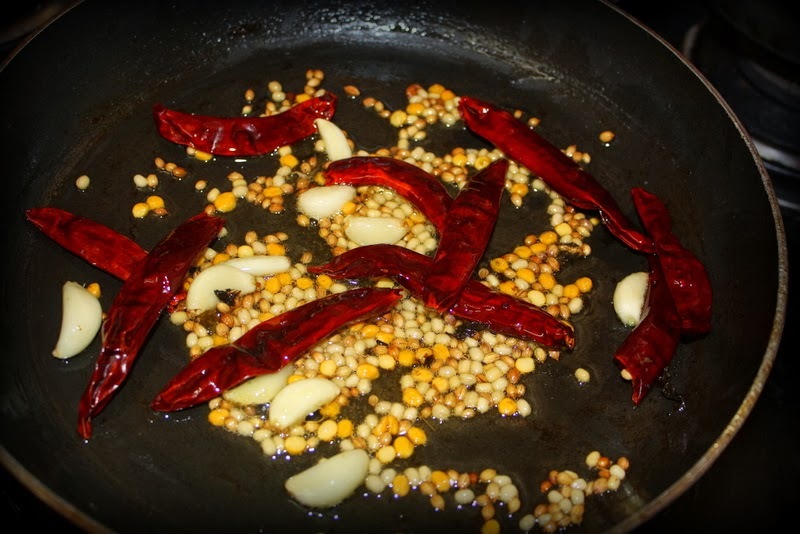 Once they change colour add red chillies, peppercorns, coriander seeds, curry leaves and fry until they turn into golden colour and your kitchen is filled with lovely aroma! Now add tamarind and cook for another 5 minutes. Once this mixture is cooled down, blend it into a fine powder adding salt as per your taste. 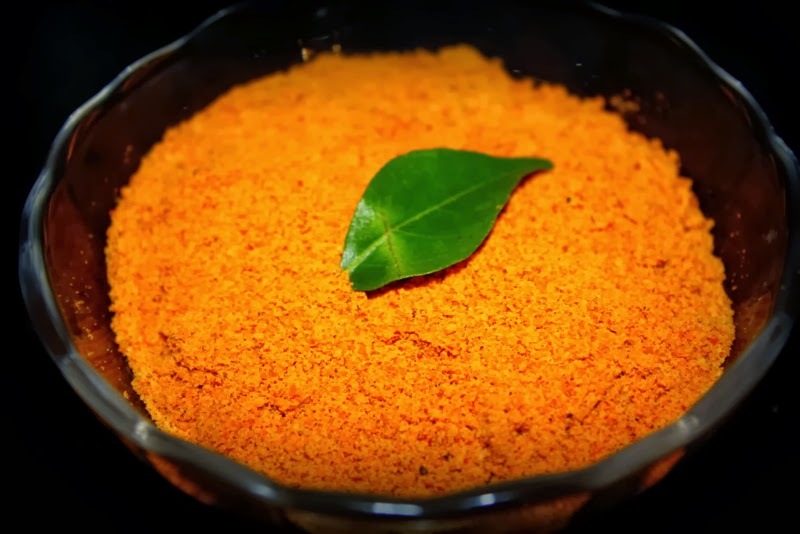 Ta da…mouthwatering idli podi is ready, smear on hot idlis with ghee and enjoy!! As you all know I am big fan of pachadis/pickles, hot rice with pickle and some papads makes me extremely happy!! 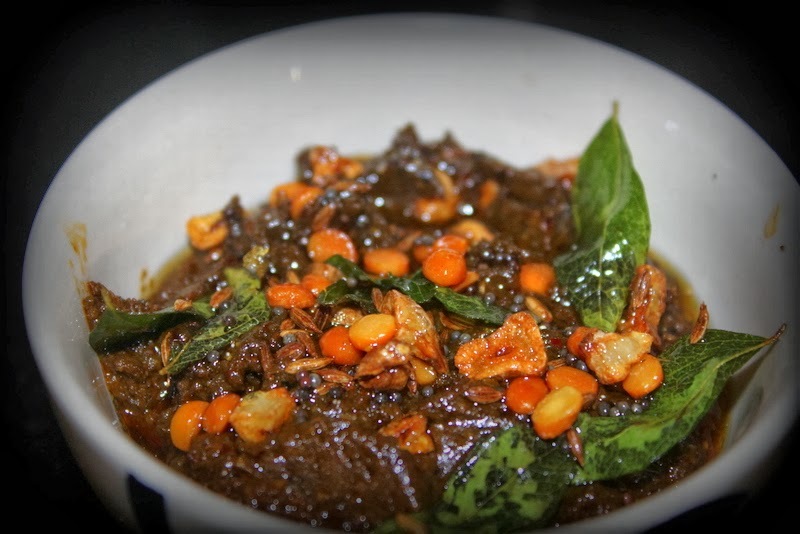 Today I made gongura pachadi, and it turned out delicious, tangy and spicy. 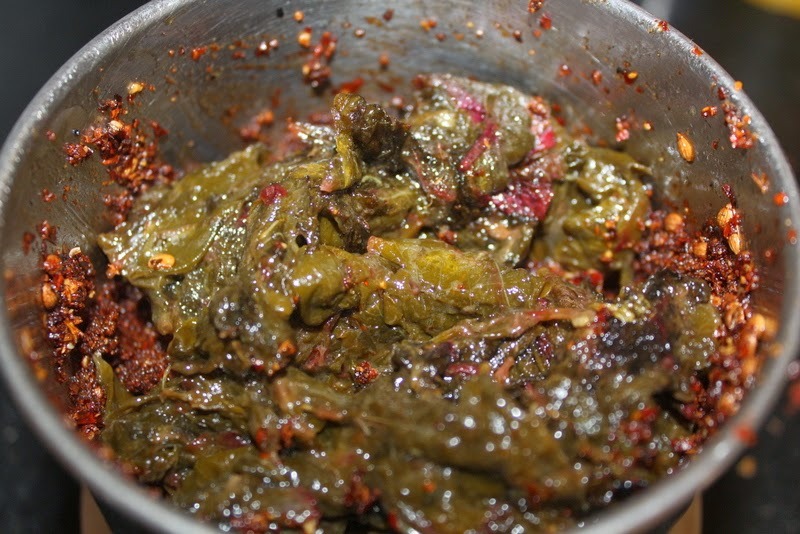 An incredible pickle to enjoy thoroughly with curd rice, or just plain rice. Also gongura is a very rich source of iron, vitamins and anti-oxidants essential for human nutrition! Wash and separate leaves from the stalks and leave them out to dry. 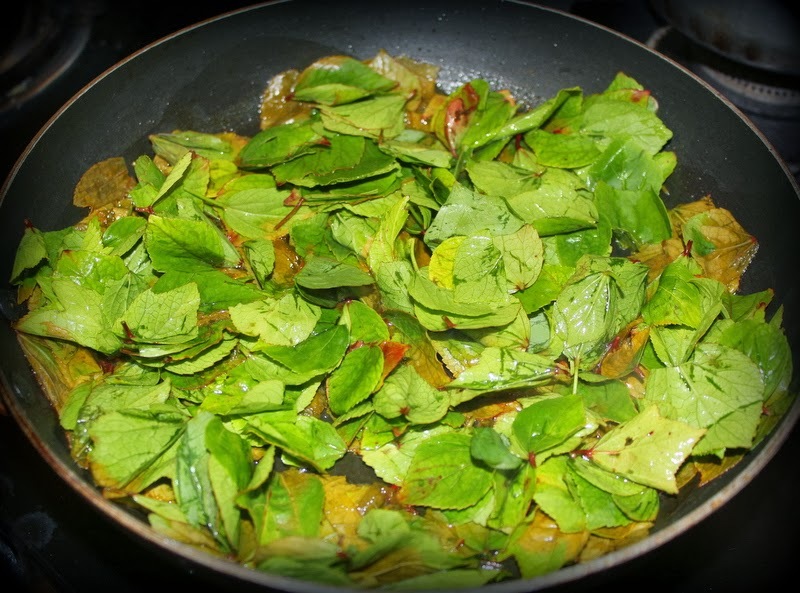 In a non stick pan,add 2tsp oil and fry the leaves till they turn soft. Remove them in a plate and keep aside. 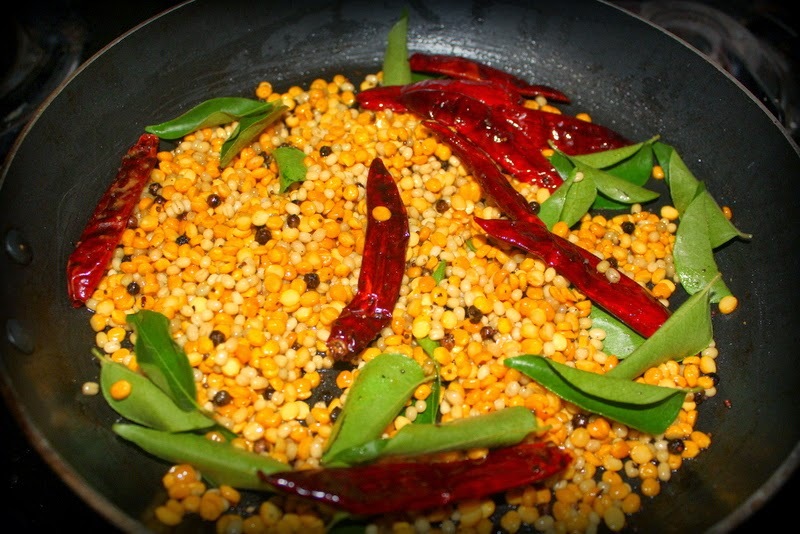 In the same pan add more oil and fry chanal dal, urad dal, methi seeds, red chillies, garlic pods and coriander seeds together. Once they change colour turn of the flame and let them cool. 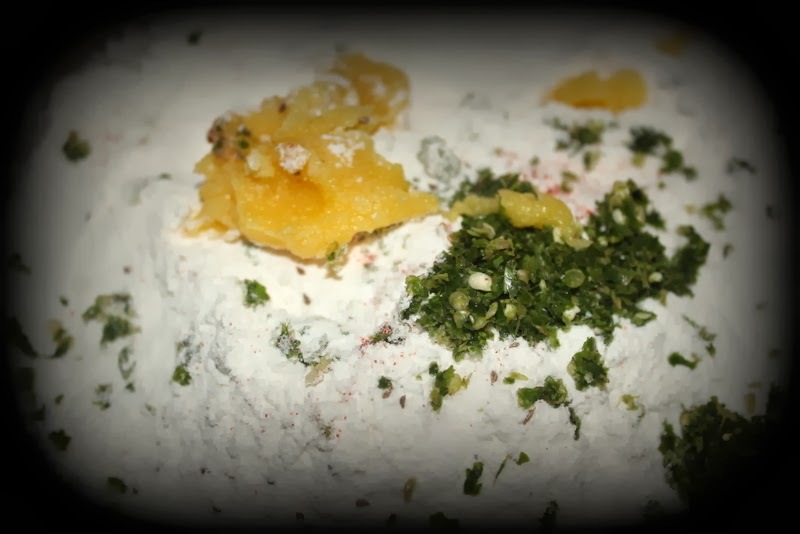 In a mixer jar add this mixture and grind them coarsely, now add the gongura leaves and some salt and make a fine paste of the chutney and remove it into a bowl. 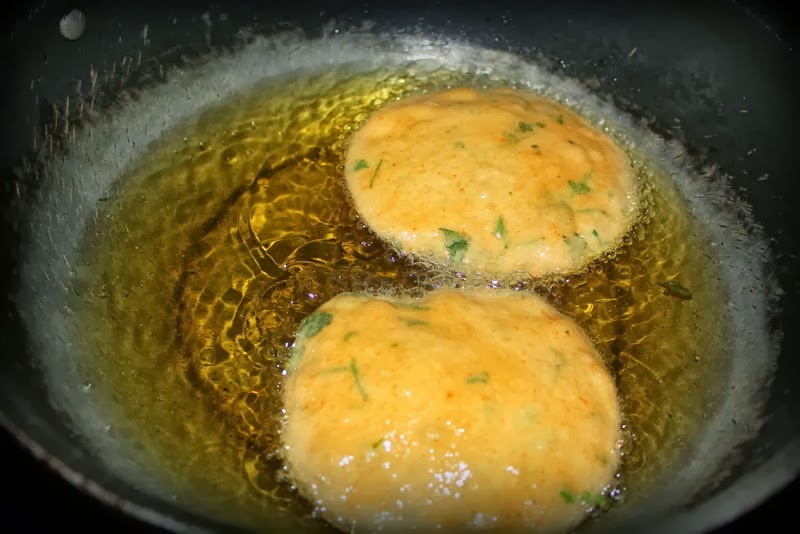 Add 4 tsp of oil, and add all the ingredients under tempering and let them fry for a minute. 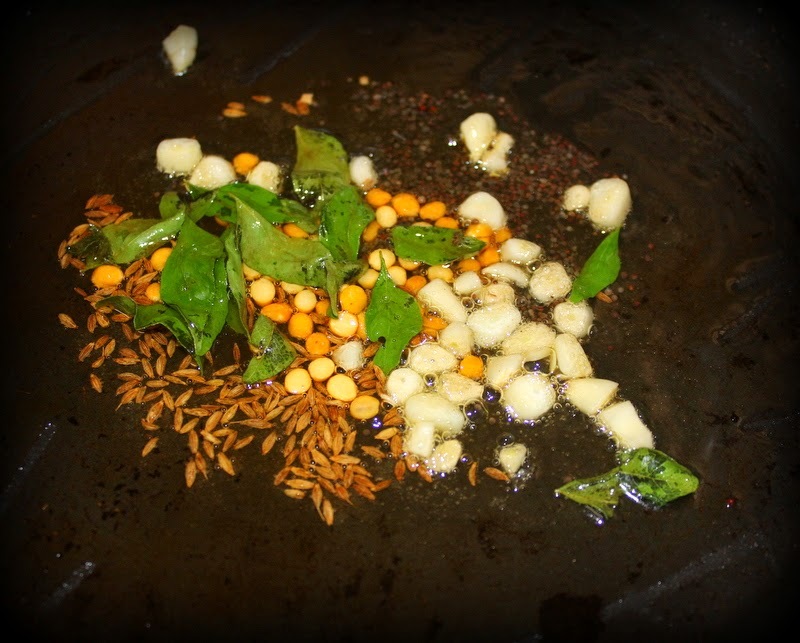 Once the tadka has cooled down add the same to the chutney. Store in an air tight container and serve hot with ghee rice and some papad! 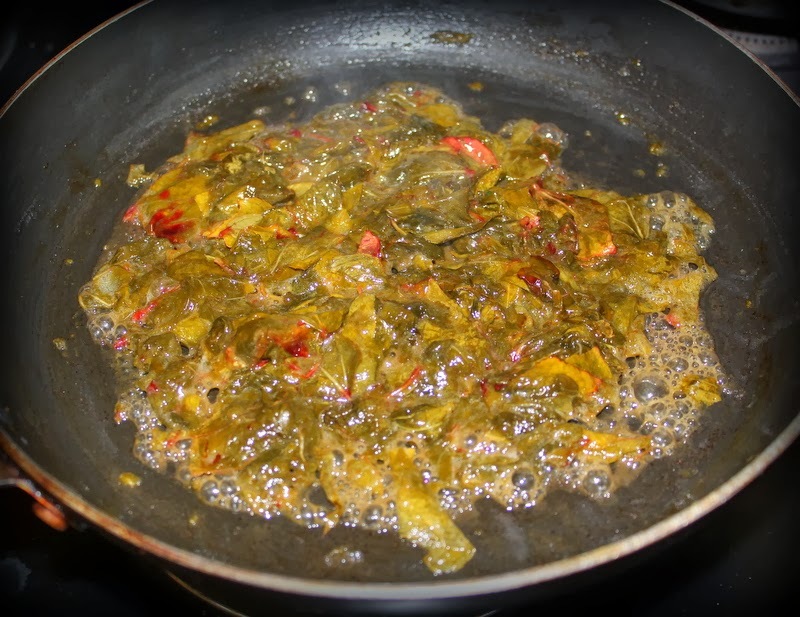 Another way to make this pickle is with green chillies, but the flavour with red chillies is even more tastier and give a lovely colour as well. 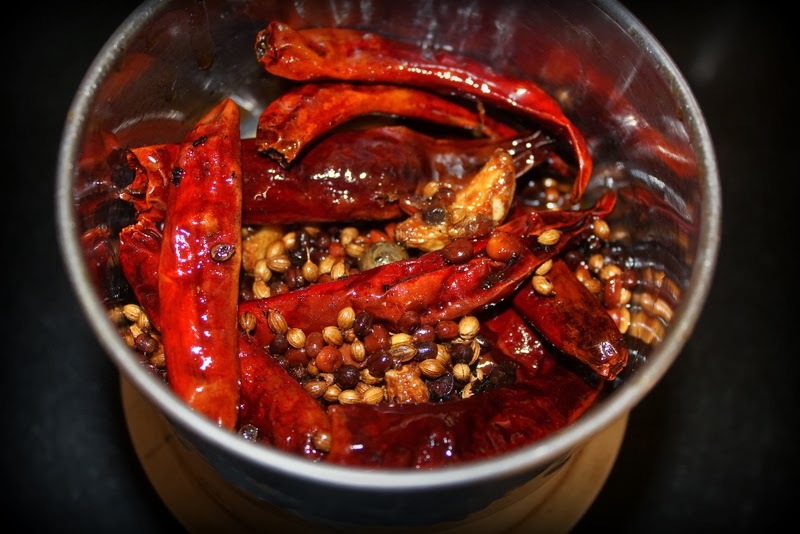 When we use red chillies, its important to be generous with the use of oil while tempering. Otherwise the pickle can get dry quickly. Also, I am super accident prone, so at home I was not usually allowed to make anything that has to be deep fried.. so only after marraige I started making all these fried bites specially for my husband. Today I made spicy masala pooris for breakfast and they turned out pretty well. 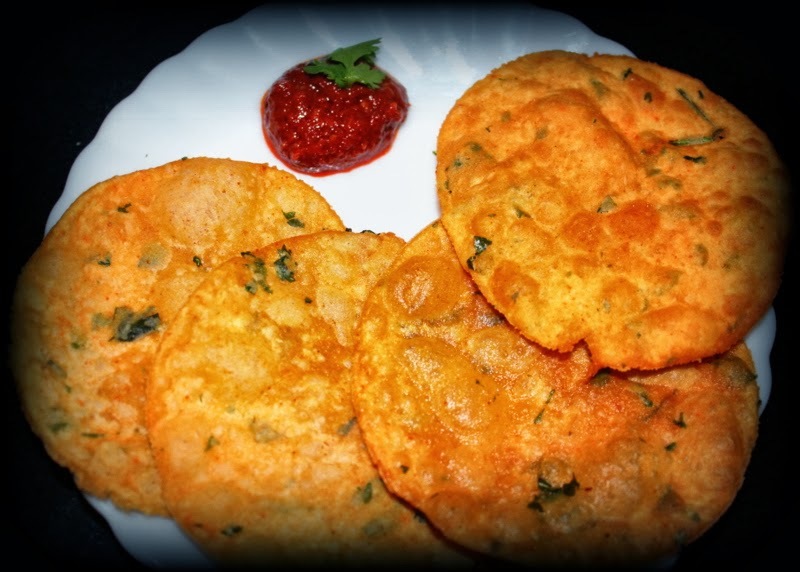 These puris can be served for breakfast, mealtime or as a tea-time snack. 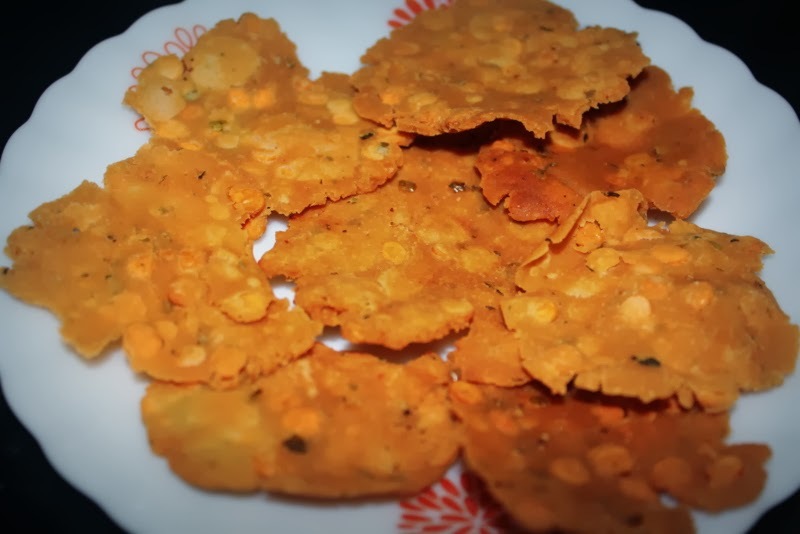 As a variant, you can make crispy puris by pricking them and then frying on a medium flame and can stock these in jars. Take both flours in a large bowl and mix salt, chilli powder, coriander powder, cumin powder, gg paste. 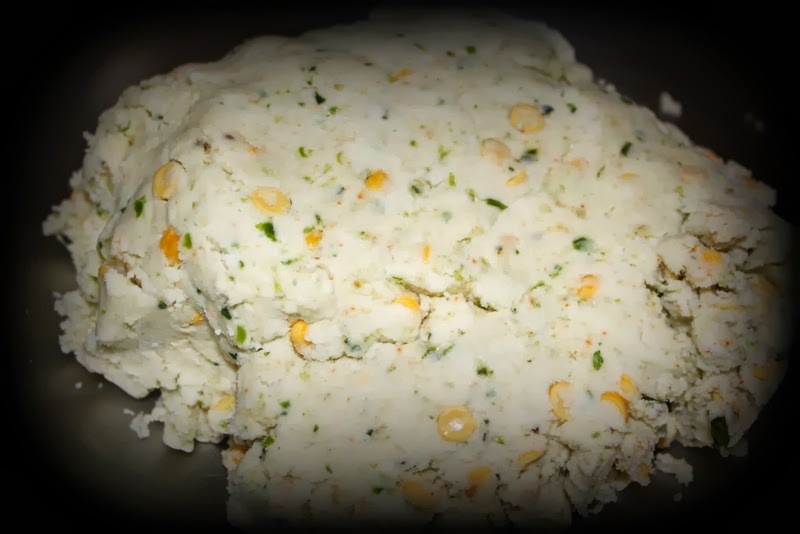 Finely chop curry leaves, coriander and green chillies paste and mix them with the flour, now add water little by little and knead to form a soft and smooth dough, the dough should neither be too sticky nor too firm. Cover the dough with a wet cloth and leave it for 15 minutes. Alternatively, heat oil in a kadai to fry the pooris. Divide the dough into small equal balls. and roll out small pooris. Remember to not make them very thin, they can turn crispy. Carefully cook on both sides till you get the desired golden colour. Serve hot with any chutney or also raita. 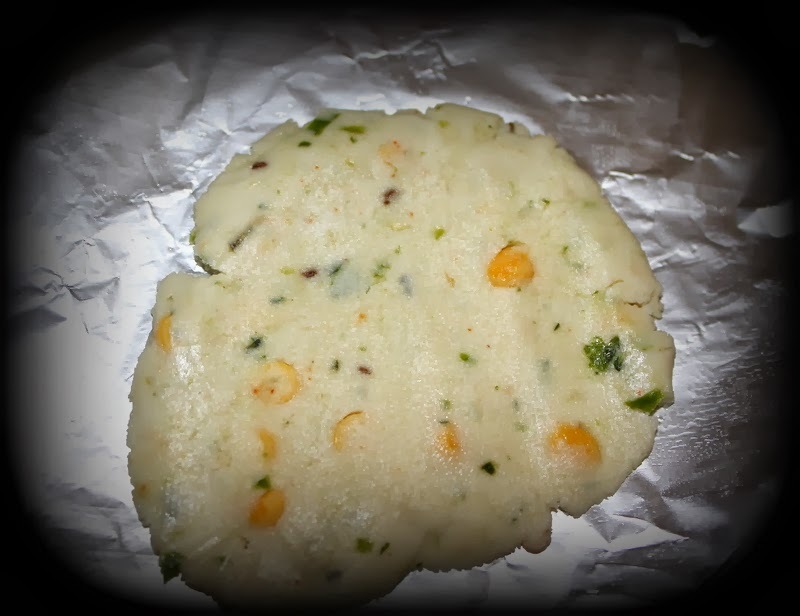 Chekkalu are one of the most prepared savoury dish on festivals. They are pretty simple to make and you can store them in an air tight container for few days. This is my moms recipe, and its very close to my heart, I have fond memories of looking at dad helping mom in making them at home and it was always a wonderful sight!! So, I sweetly asked my husband also to help me this time while making these crackers and he was more than ready 🙂 Cooking with loved ones is always fun and enhances the flavours also. 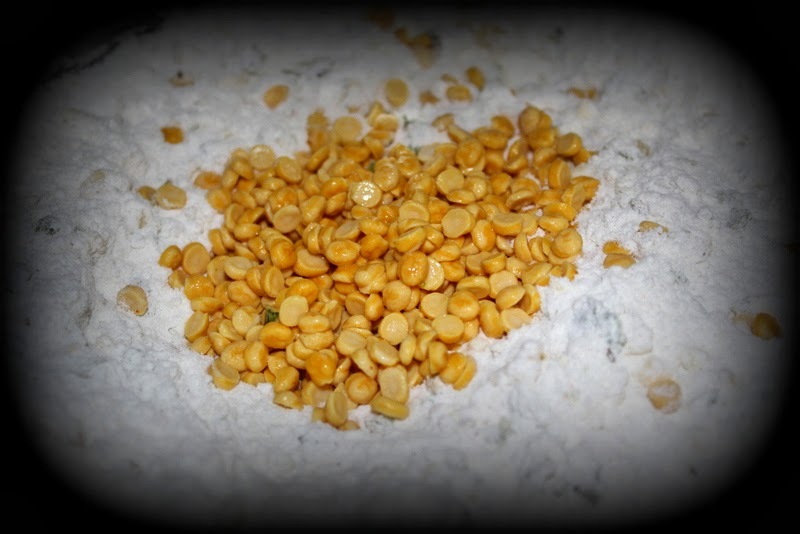 Soak chana dal for an hour. 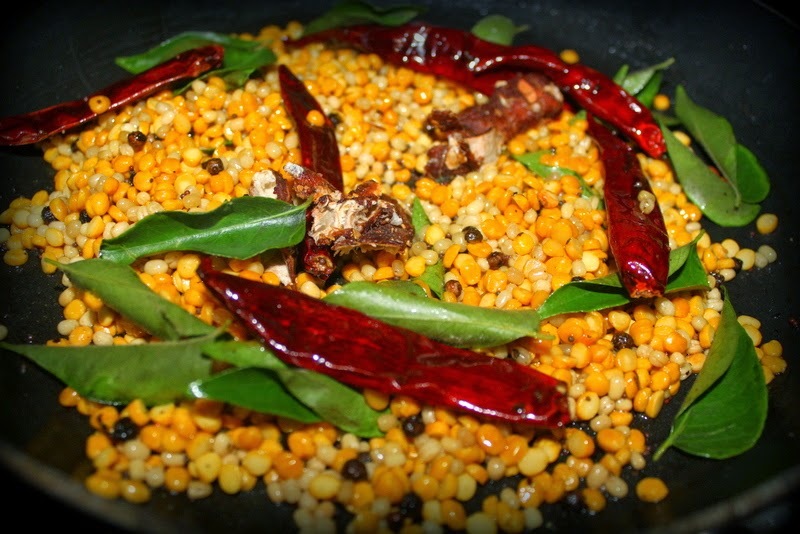 Coarsely grind chillies, curry leaves and coriander leaves. In a bowl add flour with carrom seeds, salt, gg paste, chillies paste and mix them well. Add soaked chana dal, ghee and mix the mixture again. Ghee will help the dough to bind well. Mean while, In a kadai heat oil to fry the crackers. Take a plastic sheet/foil and grease your hand and the sheet. Divide the dough into small balls, take a ball and press gently on the sheet with your hand into round shape. Now drop it in the hot oil and fry on medium flame until golden brown. Repeat the same procedure for the rest of the dough. Serve them with hot cup of tea and no one can eat just one! !